ownCloud 7 is less than a week from now, and we’ve been doing some sneak peeks to give you insight in the many new features and improvements. 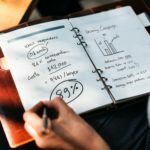 This final installment is for developers: what has changed for ownCloud app developers and coders writing ownCloud support into applications? An important area of changes in this release allows better ownCloud integration in applications. For native/desktop applications, the Overlay Icon API was introduced. Now that the shared folder has been removed from the ownCloud file view, users will need a visual representation in the desktop client to indicate which files are owned by the user, and which files are shared with the user but owned by someone else. 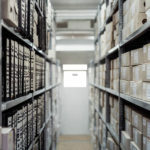 This API provides the desktop and mobile clients with the ability to know which files are shared, so that the desktop client and mobile app can place the shared file or shared folder icon appropriately on files stored on ownCloud files. For ownCloud App developers and integrators Webhooks enable easier ownCloud integration into their applications and tools. It follows a publication / subscription model (pubsubhub) where apps can publish an event, and other apps can subscribe to this event. Developers create an app that registers itself with the published event manager. From that point forward, any time the event occurs, a POST is made to the URL provided by the subscriber to notify them of the event. Apps can subscribe to the notification event, unsubscribe, set a URL to respond to, set a lease time for the subscription, and provide an optional digest used for security purposes. We provide an easier interface to implement controller classes, making app development a little easier. This makes it easier for app developers to interact with the database, not requiring them to write all SQL statements by hand. See here for documentation. We can now connect to MySQL via sockets, not just through the network layer. The CORS implementation allows a developer to implement a web api which can be used by other pages/apps running on a different domain. By default today’s browsers disallow communication to other domains. CORS allows more flexibility than only same-origin requests, but is more secure than simply allowing all such cross-origin requests. Last but not least, the developer documentation got updated, providing a big help for app and core developers. Get started here! 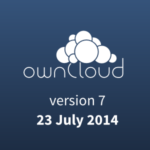 ownCloud 7 is not just exciting for users and administrators: it brings significant improvements for developers. We are looking forward to see what apps and functionality you come up with! And remember, there is an ownCloud Contributor Conference coming in about 5 weeks, where you can get involved in coding ownCloud apps, third-party integration and data syncing. Share this and other sneak peeks, follow us on Facebook, Twitter and Google Plus and share their messages. MS Doc like (Xlsx, Docx) Etc show online preview and edit. Is there a migration Guide from version 6 to 7? Is version 7 will work for 10.8 Mac server? How about Joomla 3.x integration?